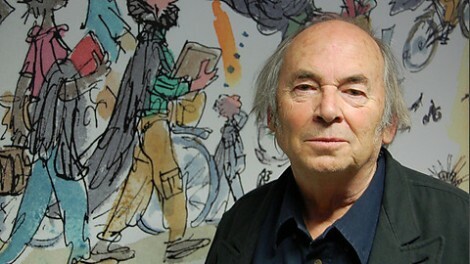 Sir Quentin Saxby Blake, CBE, FCSD, FRSL, RDI (born 16 December 1932) is an English cartoonist, illustrator and children's writer. He may be known best for illustrating books written by Roald Dahl. [a] For his lasting contribution as a children's illustrator he won the biennial, international Hans Christian Andersen Award in 2002, the highest recognition available to creators of children's books. From 1999 to 2001 he was the inaugural British Children's Laureate.